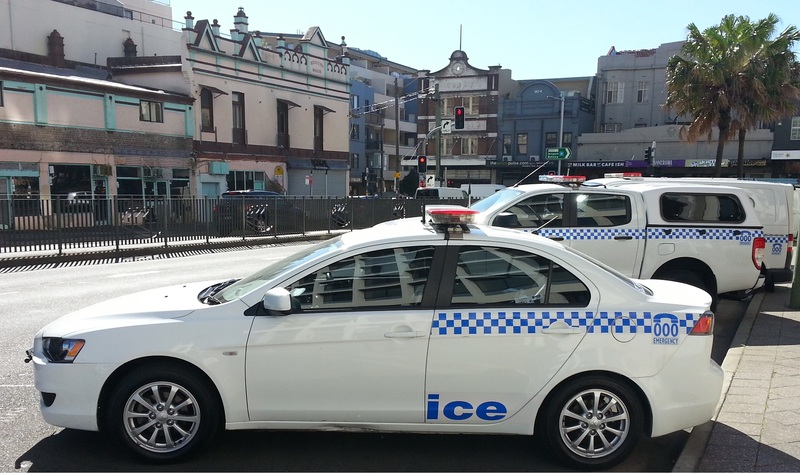 NSW elections in recent decades have been described as ‘law and order’ auctions. Garner Clancey explores some of the reasons why there is no reason for a ‘law and order’ auction and what criminal justice issues should receive greater attention by government after this election. Over the years both major parties have sought to outflank their opponents by promising tougher criminal justice policies. More police; greater police powers; longer prison sentences; and greater use of imprisonment; have been regular features of these ‘law and order’ auctions. Thankfully, there is little reason why the 2015 NSW election should take this path. Crime has been generally falling in NSW since the early 2000s. Key volume offences have fallen dramatically in the last 13-14 years, and in some instances, have returned to levels not seen since the early 1990s. Some of the relevant statistics were highlighted in a previous Inner Sydney Voice Article (‘Property Crime Decline’, Autumn 2014 Edition). Pleasingly, these falls continue. “In the 24 months to September 2014, none of the major offence categories showed a significant upward trend across the state as a whole … Commenting on the findings, Dr Weatherburn said that it was reassuring to see that once again none of the top 17 offences had increased” (emphasis added). Break, enter and steal from dwelling (burglary) has fallen on average 6.5% each year since October 2000. This is a reduction from approximately 81,000 incidents in 2000/01 to approximately 34,000 incidents in 2013/14. Motor vehicle theft has fallen on average 9.7% each year since October 2000. This is a reduction from approximately 55,000 incidents in 2000/01 to approximately 15,000 in 2013/14. Robbery without a weapon has also fallen on average 9.7% each year since October 2000, falling from approximately 7,600 incidents in 2000/01 to 2000 incidents in 2013/14. Malicious damage to property (which includes graffiti) has fallen on average 2.5% each year since October 2000, falling from approximately 97,000 incidents in 2000/01 to 69,000 incidents in 2013/14. (This data has been extracted from the NSW Bureau of Crime Statistics Crime Trends Tool). Falling crime rates should be reason enough to ensure that we aren’t subjected to a ‘law and order’ election in March. If, however, you or any politicians require further convincing, then be assured that these falls in crime have not resulted in recent governments going ‘soft on crime’ (whatever that might mean). For example, falling rates of many crimes have not resulted in fewer adult prisoners in NSW. Below is the total number of adults imprisoned in NSW per quarter for the last two years. More than 10,000 adults have been imprisoned daily in NSW for the last 12-18 months. This means that the NSW prison system is operating at close to its overall bed capacity, with two and three inmates per cell being common. Given that NSW has the worst average out of cell time figures in Australia (on average, just 8.2 hours out of cells per day), inmates entering NSW prisons ‘enjoy’ long periods in cramped cells. Perhaps the long hours spent in cells goes some way to explaining the high recidivism rate of those leaving NSW prisons – approximately 46% of prisoners who leave NSW prisons return within two-years. This rate of return to prison is worse than Victoria, Queensland, Western Australia and South Australia. A sensible debate about criminal justice policies in NSW should include a focus on domestic violence and sexual assault. It would also focus on rehabilitating those entering the prison system, both during and directly after periods of imprisonment. Strategies to tackle the ongoing over-representation of Aboriginal and Torres Strait Islander people in the criminal justice system should be prioritised and careful consideration of the impact of social-welfare policies (including housing) on those in contact with or on the periphery of the criminal justice system should be central to any criminal justice policy debate. Domestic violence related assaults have increased on average 2.1% each year since October 2000, rising from approximately 22,000 incidents in 2000/01 to 29,000 incidents in 2013/14. Incidents of sexual assault have also increased on average 2.1% each year since October 2000, rising from approximately 3,700 incidents in 2000/01 to 4,800 incidents in 2013/14. (This data has been extracted from the NSW Bureau of Crime Statistics Crime Trends Tool). Given that these offences have notoriously low reporting rates, the above figures are likely to be only a small proportion of the total number of incidents that have actually been perpetrated. While crimes in public often receive the lion’s share of media and political attention, traumatic crimes committed in the home have quietly grown, claiming more victims. These crimes have devastating impacts on women, children, families and communities. They gnaw away at individual opportunities, trapping innocent victims in states of anxiety and fear. In spite of government policies designed to prevent domestic violence and sexual assault (such as ‘It stops Here’ and ‘Staying Home Leaving Violence’), these offences continue to increase. Moreover, changes to funding for the delivery of women’s services in NSW risks further restricting access to limited support services and undermining many of these recent government policies. Without access to appropriate support, accommodation, counselling and associated services, many victims of domestic violence and sexual assault will endure ongoing victimisation. The increasing prison population in NSW presents a number of challenges. The costs of delivering custodial services obviously rises with growing numbers of prisoners, many of whom are Aboriginal and Torres Strait Islanders. The over-representation of both adult and juvenile Aboriginal and Torres Strait Islander inmates remains a national and local disgrace. Comprising only 2.9% of the population, but 23% of the NSW prison population, Aboriginal and Torres Strait Islander adults are significantly over-represented in the NSW prison system. The figures are considerably worse for young Aboriginal and Torres Strait Islander people – their rate of detention in NSW is almost 29 times greater than for non-Indigenous young people. Tackling this ongoing systemic issue requires coordinated investment in communities, programs and people to tackle risk factors associated with offending. With large numbers of prisoners returning to prison within two years of release, there also needs to be increased attention given to rehabilitation programs located in prisons and support services outside of the prison walls. With elevated risk of reoffending directly post-release, more services need to be available to released prisoners. Recent funding cuts to agencies engaged in this work will do little to aid the transition from prison into the community. Long waiting lists for public housing, increasing use of pre-employment screening checks by employers, and difficult labour market conditions are just some of the contemporary challenges facing the many prisoners being released in NSW, that need to be central to debates about reducing crime. At the heart of any attempt to address crime in NSW are social conditions and risk factors associated with crime. Child abuse and neglect, alcohol and drug use, and poor educational attainment, are consistently identified risk factors for crime. Any debates about criminal justice policies also need to consider social-welfare policies and programs that seek to address these risk factors. The last 12-18 months have proven very difficult times for many services providing social-welfare programs in NSW, with state and federal government funding reforms impacting on service delivery. Maintaining appropriate levels of social support, child care, school enrichment programs, parenting skills training and a myriad of other social-welfare programs need to be considered integral to any attempts to prevent and reduce crime. Services and programs need to be funded adequately and funding needs to be sustainable. Funding uncertainty makes retention of staff difficult, client engagement and program delivery difficult, and it complicates any attempts to evaluate efficacy. At an election it is timely to reflect on some criminal justice indicators and issues and look at the challenges facing the incoming government. Significant falls in many crime types and continuing high levels of imprisonment provide two very strong reasons why this election should not be dominated by law and order posturing. With the costs of administering the criminal justice system rising with record high numbers of police, judicial officers and prison staff, it is important that sensible approaches be adopted by government. Focusing on domestic violence and sexual assault, tackling the ongoing over-representation of Aboriginal and Torres Strait Islander people in prison, improving programs (pre and post-release) to reduce return to prison rates, and delivery of social-welfare programs to support those most vulnerable of committing crime and entering the criminal justice system, are just some features of a sensible NSW criminal justice policy. Garner Clancey is a Lecturer in Criminology at Sydney Law School, Sydney University.